Shopping, transportation, messaging, health care, payments, bicycles – you name it. If you want to do anything in China, you can probably do it on the WeChat platform. With over 1 billion active monthly users, it’s one of the biggest online services in the world. Tencent, the company behind WeChat, is the 5th most valuable company globally. WeChat Mini Programs are “sub-applications” within the WeChat ecosystem. They provide users with quick access to services such as e-commerce, task management, coupons etc. Helsinki has become increasingly popular among Chinese tourists in recent years. The number of registered overnight stays by Chinese travelers in Helsinki has more than doubled in the past five years. When they visit Helsinki, they are expecting the same mobile conveniences as at home. In late 2017, the City of Helsinki and Tencent approached Idean to create a custom My Helsinki Mini Program to make life easier for Chinese visitors in Helsinki. We then embarked on a fascinating design journey. Tencent’s WeChat application is extremely popular amongst Chinese, and when they visit Helsinki, they are used to the same conveniences that the app provides. Tencent and Helsinki Marketing approached Idean to design the My Helsinki Mini Program for WeChat. 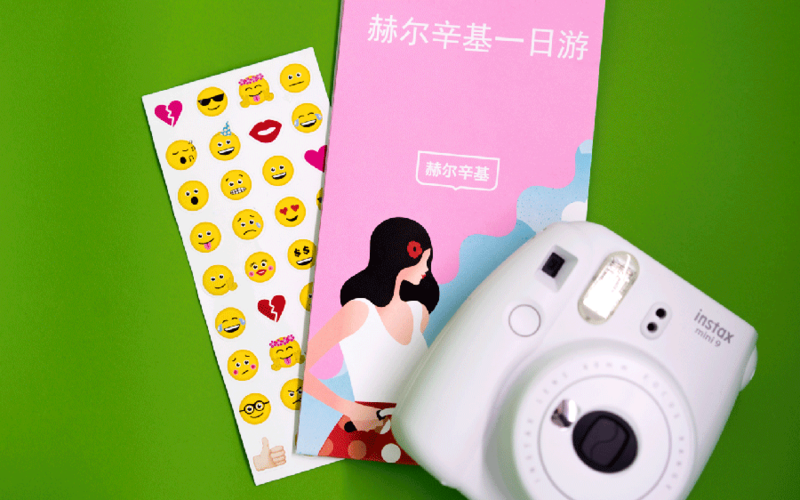 Idean designed the My Helsinki WeChat Mini Program by taking into account Chinese visitors’ needs and desires. The Mini Program combines discovering activities and sights, getting there, and paying for transportation. We began with research to understand what is essential for Chinese visitors in Helsinki. First, we interviewed Chinese tourists to uncover their biggest pain points and needs when visiting Helsinki. 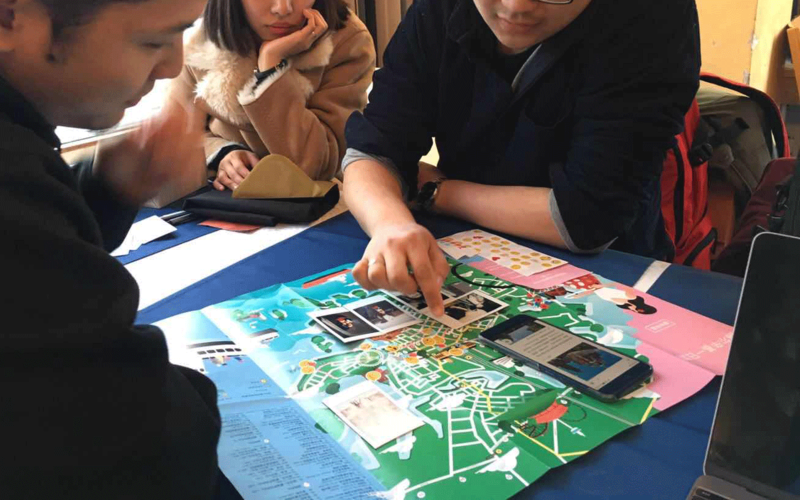 To get deeper insights on their experience in Helsinki, we also created a “Cultural Probe” for Chinese tourists to document their time in the city. The Probe included a map of the city and a polaroid camera. We asked the participants to show on the map positive and negative experiences in the city using stickers. They also took photos of their visit with the camera. A few days later we asked the participants to walk through their journey in Helsinki. The Cultural Probe allowed us to have more meaningful conversations about their visit to Helsinki. Based on our insights, we decided to focus the My Helsinki WeChat Mini Program on three key needs – discovering what to do, how to get there, and how to pay for the trip. The content of the app is focused on purely local recommendations – the local community is at the core of the urban life in Helsinki. In keeping with the website’s service promise, “Your local guide to Helsinki”, the MyHelsinki Mini Program’s content has been compiled by locals. Apart from coupons to local shops, no paid brand endorsements, partnerships or sponsored content are allowed. The locals are the best marketers for their own city. 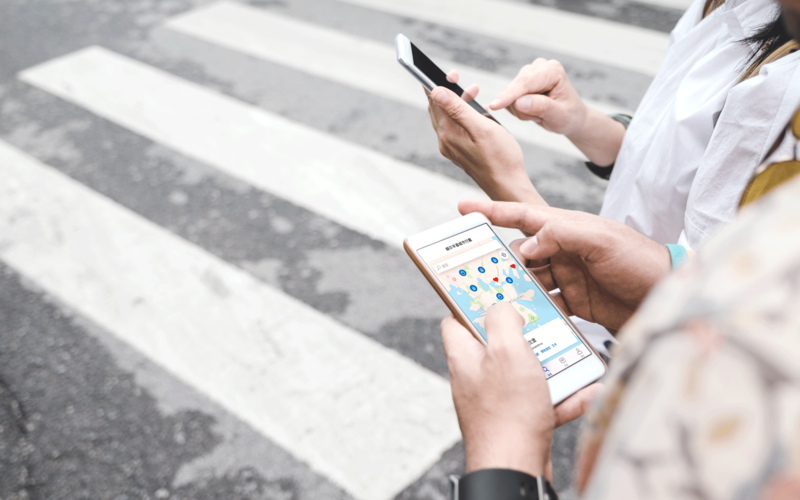 Within the app, Chinese visitors are able to use Finnish born mobility-as-a-service app Whim for getting around Helsinki. They can purchase all travel tickets and within the same Mini Program. The Whim integration has been developed especially to fit the needs of Chinese tourists exploring Helsinki. Chinese are used to paying for the majority of their services with their WeChat Pay function. Now through the Mini Program they can pay for all transportation within the Mini Program. In the future, they will be able to pay for an increasing amount of services directly within WeChat. This makes it comfortable, secure, and easy to enjoy all the local activities in Helsinki! Helsinki has become increasingly popular among Chinese tourists in recent years. The number of registered overnight stays by Chinese travellers in Helsinki has more than doubled in the past five years. In 2017 the number of overnight stays by Chinese visitors increased by 29,3 percent over the previous year to 135 000. Especially high potential is among the transfer travelers, who fly through Helsinki on their way to other European destinations. The beta version of the WeChat Mini Program has been launched in late 2018 and early 2019. The response from Chinese users has been enthusiastic. As the number of Chinese travellers to Helsinki keeps increasing, the MyHelsinki Mini Program will continue to evolve and enable visitors to experience Helsinki like a local. As the fastest route from Asia, Helsinki is an important stop over route towards Lapland and other European capitals.